Steeped in Roman influence, the history and culture of Dalmatia shows in its structures, food and lifestyle as a place unique to itself despite, its former occupations. On this Trail to Table guided biking and hiking tour, you’ll experience seven days of Dalmatian paradise. From the streets of Dubrovnik to the salt mines and family farms of Peljesac, to the lavender fields of Hvar, to Diocletian's Palace in Split, each day is filled with the most beautiful and fulfilling activities that Croatia has to offer. One highlight is shopping with a local chef at a market, located in the 1700-year-old palace of Diocletion in Split, and preparing a meal together in the chef’s home! 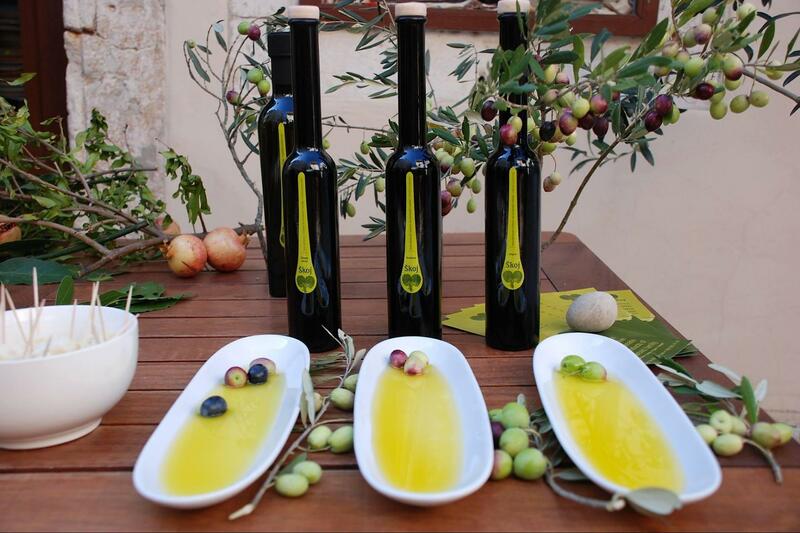 After every day of walking and biking through Dalmatia, Pure Adventures helps you experience the best in local wines and cuisine. Day 1 - Arrival day to Dubrovnik. City walking tour 1.5 hours. Meet your guides in the afternoon and start your Trail to Table exploration of Dalmatia with a walking tour of “The Pearl of the Adriatic" - Ancient Raguza, or as it is known today, Dubrovnik. 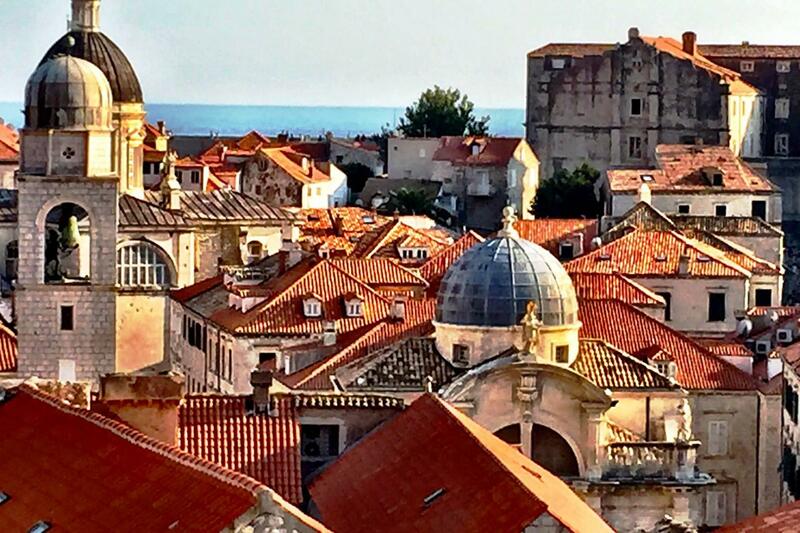 Take a little 'urban hike' atop the ancient city walls and soak in the views of the city and the Adriatic Sea below. Descend to the main city street, Stradun, to spend some leisure time exploring its quaint old shops and churches, but be sure to leave time to visit the ancient city port or Rector’s Palace. You will see several inviting restaurants downtown but don't give in to the temptation! There's a delicious welcome dinner awaiting you in the evening, with your very first tastes of delicious Croatian cuisine! Hotel "Zagreb” offers its guests a blend of modern amenities and historical traditions. The hotel is located in a comfortable and historic private residence, surrounded by a magnificent garden. 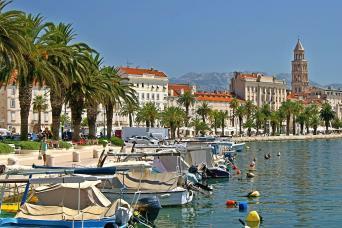 It is situated within walking distance of the sea and a short bus trip of historic Dubrovnik. We pride ourselves on creating a friendly atmosphere and offering a personal touch for each of our guests. Day 2 - Peninsula Peljesac. Educational bike ride 1.5 hours. 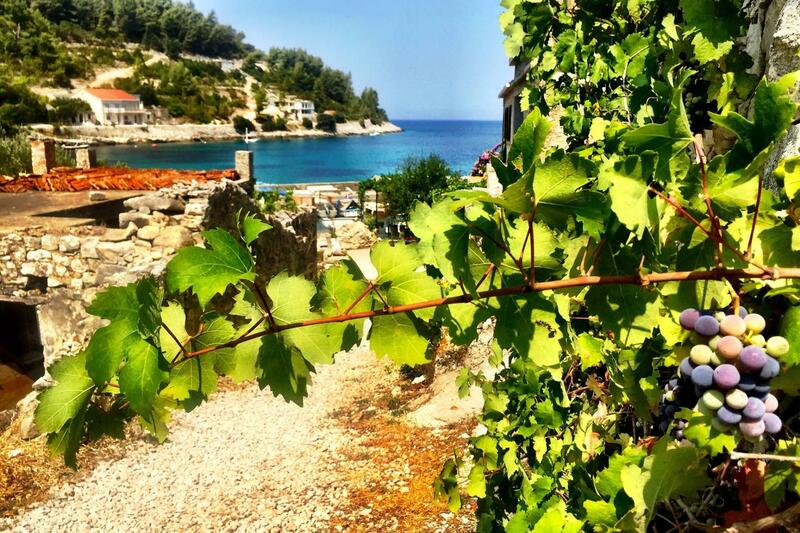 This morning you depart for the Peljesac Peninsula, famous for its red wines: Plavac Mali and Dingač. Once on Peljesac, you will visit salt mines and hear a story of salt production, guided by the mine owner. Then you will visit the oldest winery on the peninsula, with 500-year-old cellars, and learn about the wine makers' cherished traditional lifestyle. 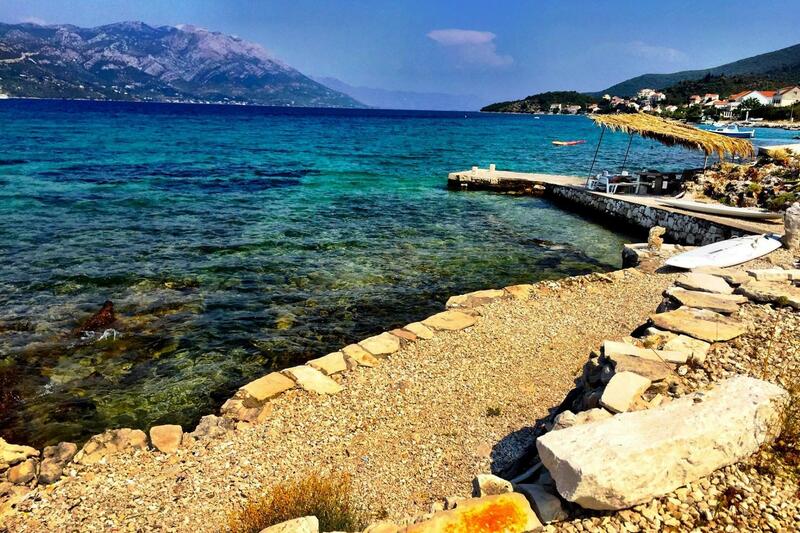 Surrounded by breathtaking hills and the Adriatic Sea in the heart of the Pelješac Peninsula, this family-owned estate is the perfect scenic getaway. Visit the vineyard, taste locally grown and made ingredients and dishes, and learn about their methods of wine production. 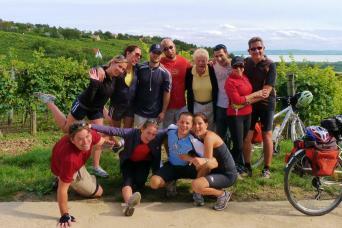 Lunch is followed by a leisurely cycling tour of the vineyard, personally guided by the owner. In the afternoon, we take the ferry to Korcula Island, famous for its woods of pine trees, Pošip vineyards, and the famous traveler Marco Polo. Tonight’s dinner in Korčula town is at a historic palace! It features a wine pairing with dishes made from ingredients foraged along the Adriatic coasts, with bold flavors from the sea and indigenous produce. Day 3 - Island Korcula. hike to Pupnat; 11 km, total vertical climb 420 m, approximately 3.5-4 hours. Begin your day exploring Korcula, a striking medieval Dalmatian town with clusters of homes carved out of local stone. To earn your ample lunch spread today, you'll embark on a hike through the local nature park with notable dolomite rock formations and plenty of wildlife sightings in the dense woods. The hike will lead you to the ancient Napoleon Path and along olive groves, small vineyards, and beautiful fields of sage, oregano, and other herbs. You'll be tasting hints of these herbs in almost every meal of this adventure. 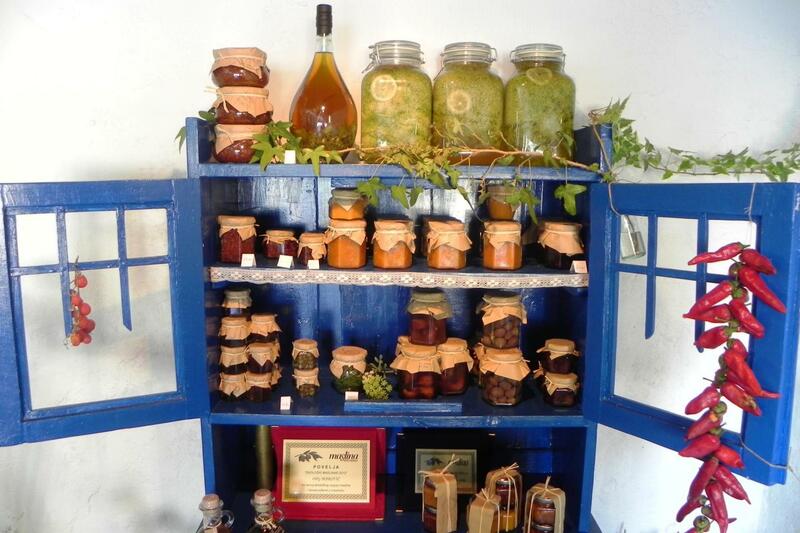 Next, take a break at a local food producer's shop and have a chance to taste rakija (liqueur), olive oil, homemade marmalade, fresh bread, and herbal tea on a picturesque organic farm estate. Riva landmarked building with its unique and edgy design, signed by Jestico + Whiles, has been transformed to a boutique hotel. Its prime location in the middle of Hvar's has been an attraction since back in the day when the hotel was first opened in 1927. 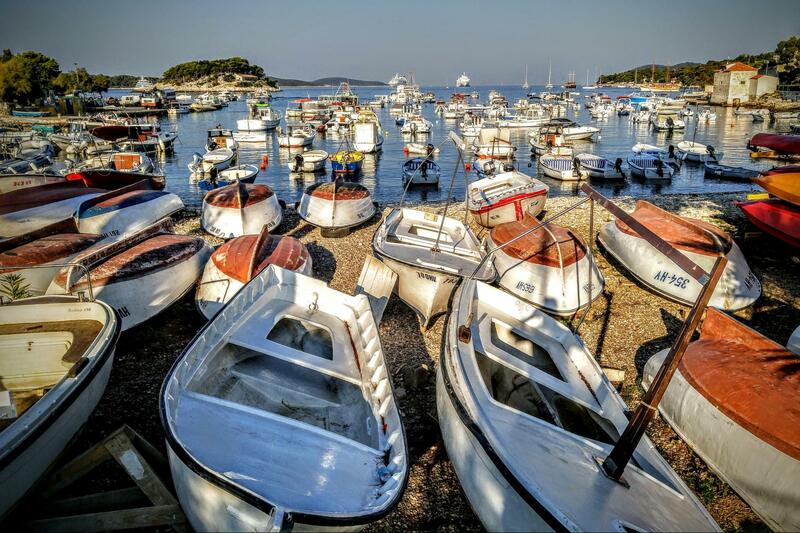 Wake up on the sunniest Dalmatian island - Hvar! This morning, depart for a hike towards Milna and Grablje, located on the southern coast of Hvar. Besides today's exceptional lunch break, the highlight will surely be the stories shared by your local host and guide. He will share with you not only his cooking secrets, but also what life used to be like in the village of stone houses before it was abandoned, as well as the lifestyle of people today. Upon return back to Hvar town, you may choose to take an optional stroll to Fortica Španjola, a fortress located on the hill above the town. A hike to the fortress will give you unforgettable panoramic views of the city, its surrounding countryside and the Pakleni Islands. Located in the fortress, there is also a museum with a collection of amphorae and other antiquities from the Middle Ages. This evening, dinner is at a cozy, family-owned and operated restaurant, tucked away on a narrow street. 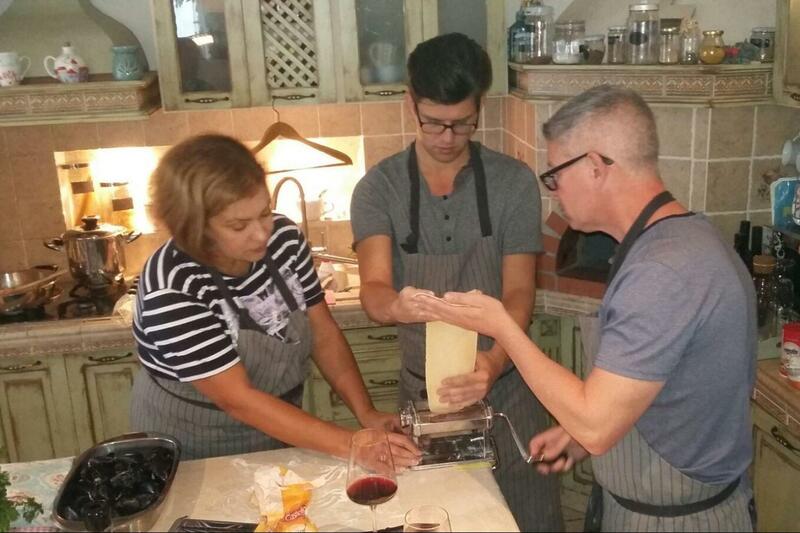 The father was the first master chef in Croatia and the son is a sommelier. Together, they have crafted a foodie destination to truly savor Croatian cuisine. 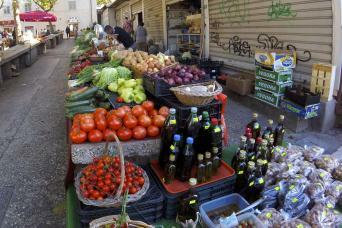 There is no set menu - you will enjoy whatever is found at the market that day! 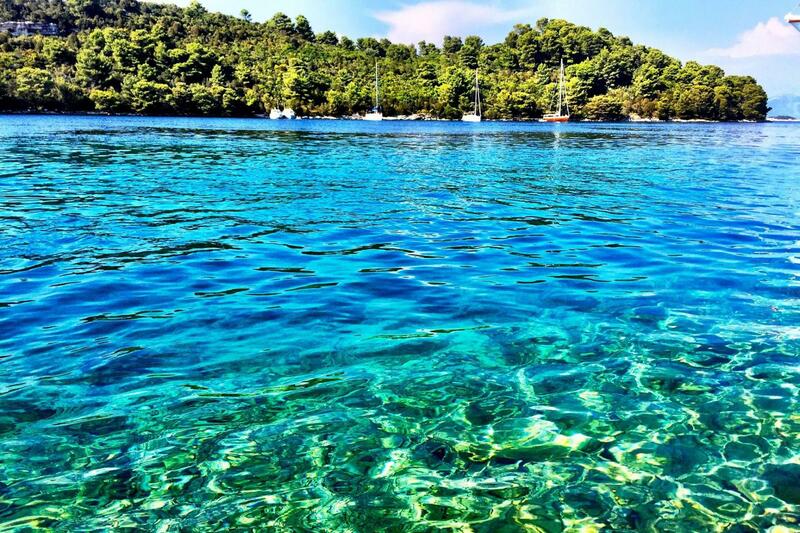 Today you depart for the ancient Greek colony of Pharos, located on the north coast of Island Hvar. In Stari Grad (Pharos,) get ready for a leisurely, 20 km. loop bike ride. The island is noted for its lush vegetation of palm trees, agaves, myrtle, rosemary, pine trees, and extensive lavender fields, as well as its history dating back to Greek times. Cycle along the scenic and mostly flat roads on the north side of the island and past the coastal villages of Jelsa and Vrboska. We will have lunch in Stari Grad Plain, a cultural landscape named a UNESCO World Heritage Site because it has remained practically intact since it was first colonized in the 4th century BC. Early in the afternoon you board the ferry to Split, a city now 1700 years old and today, is considered the administrative and cultural center of Dalmatia. You will have the late afternoon and evening free to explore this treasure of a city. Dinner is on your own (with recommendations for restaurants). Hotel Slavija is the oldest Hotel in Split History of the building can be traced back to the end of the 16th and early 17th century, when above the western Diocletian baths, built in the 4th century, the complex of Renaissance – Baroque palace was built. In the early 20th century the Renaissance – Baroque Palace was adapted to Hotel Slavija and it was the first Hotel in Split and was home to lot of famous poets, artists, athletes … Renaissance stairs lead inside Hotel Slavija, this stairs are the last monument of this kind within the walls of the Palace. Hotel Slavija is protected by Republic of Croatia as a national cultural heritage. Due to its location within the Diocletian’s palace, Hotel Slavija is also protected by the UNESCO as an international monument of culture. (UNESCO – United Nations Educational, Scientific and Cultural Organization) The name, Slavija, means the land or nation of Slavs. You can see how Hotel Slavija looked in the 20th century on the postcards that we have find all over the world. Once you arrive to the Hotel You will see that the exterior hasn’t changed at all. The reason is simple, as National Heritage building we are not allowed to do any changes to the building. Day 6 - Split. Guided Tour, Cooking Class. Today is a particularly special day on this tour, with a foodie itinerary you won't find in any travel guide! 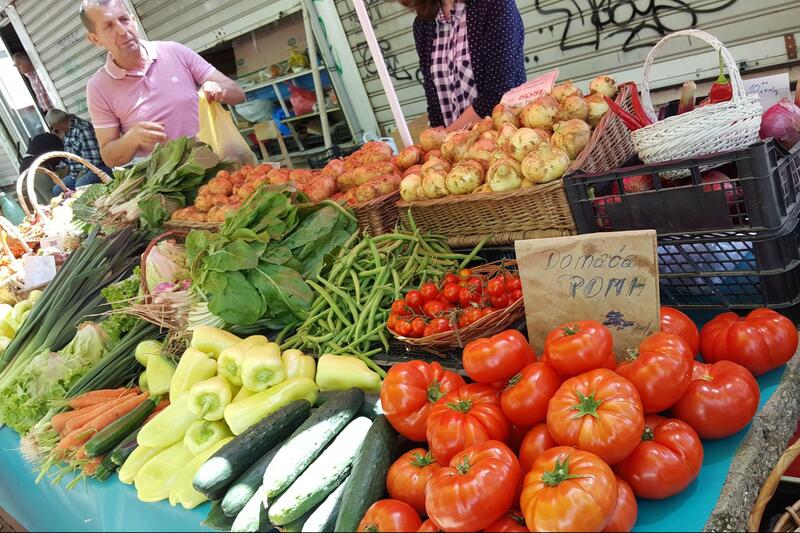 Start with a guided tour of Diocletian’s Palace, where you discover the buzz of Split’s local food markets. Then you will meet with a local chef and discuss a strategy for your cooking class, all while drinking coffee in one of the numerous charming squares in Split. After finalizing the meal plan, you will continue to the Green market (Pazar), Fish market (Peskarija), and butcher (Mesnica), where you will choose and buy the freshest ingredients for your lunch. While buying fresh groceries, mingle and talk with the local producers and experience a day at the market like a Split native. Next, enjoy the preparation of your meal guided by the chef in a family home in Varos, one of the oldest parts of the town.This is a personal and intimate cooking and eating experience, unlike any other found in Dalmatia. After your culinary adventure and with a full stomach, the afternoon is free for exploring. We will all meet for a memorable farewell dinner at the end of the day. Day 7 - Split and departure. After a final taste of Dalmatia over breakfast, your tour ends. If you have time, try to “squeeze in” another coffee on Riva before departing! *Single supplement is based on more than 2 travelers. Group departure requires 6 pax minimum. Private departures available:Contact us with your dates and we will send a quote. 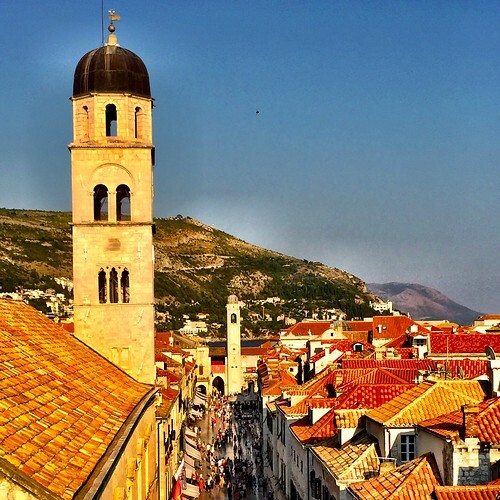 - Arrive in Dubrovnik, the pearl of the Adriatic. We recommend a day early to visit. Level: Level 3+ Moderate; terrain is flat to rolling; itineraries can be adapted for longer ride options. Departure: From Split in Croatia, you can travel on or depart from Split. Hi! I'm Katja, professional and licensed tour guide. Since I have university degree in English and German, I also work as a teacher, translator and interprete, as well as cultural manager, since I am really an art lover & big literature fan as well. I also speak French, do yoga and spend my free time mountineering, jogging and bike riding. More than 10 years of experience in tourism, as well as my communication skills and most of all - my great interest in people coming from different cultural backgrounds - make me an excellent guide, at least that's what my guests say :) I love my job, among my other interests, which I think is a great formula to do my tours so passionately over and over again. Every new group is a new experience for me and an opportunity to grow and give my best. See you in Croatia! "Well maintained hybrid bikes were perfect for this tour." "the cue sheets were excellent." Bikes for the cycling portion of the tour: : Bike rentals available are hybrid and MTB style bikes for the riding we do on this tour. To keep costs down, we source bikes locally at each ride and we don't carry them throughout the tour. WILIER 503 XT SHIMANO XT HYDRAULIC BRAKE SHIMANO DTSWISS WHEELS 29"
Riding consists of a 1.5 hour light ride on Day 2; an educational bike ride along vineyards of Peljesac with the wine producer (1-1.5 hours).